After our glorious campaign last time out, a campaign that was champagne drenched as we celebrated promotion to the top-flight of English football, many expected the 2018 / 2019 season to be the season where young Ryan Sessegnon made a huge impact at the highest level. But, like so many of our aspirations for the season, Ryan has found the step-up a lot tougher than we all expected. Now whether we could point to the fact that Ryan has been under-used by Slavisa Jokanovic and Claudio Ranieri, before Scott Parker took over, contributed to the teenagers’ failure to illuminate the top division remains a debatable topic. However, with Fulham’s fate now confirmed, Ryan remains one of those players who we fear will be sold. Already speculation is appearing in the media relating to his future. The tabloid news source, the Mirror, states that several clubs are looking to sign the player with three big names said to be in the running – Manchester United, Tottenham Hotspur and Paris Saint-Germain. Whilst another news source, the Daily Mail, appears to confirm Tottenham’s interest by inferring the North London club are willing to offer £25 million for the player whilst also stating that Fulham want £40 million for their asset. But, recalling that champagne drenched ending to last season, were we not talking about it requiring £100 million to acquire the services of a left-sided player, able to play as a full-back or a winger, as being the going rate? “Now whether we could point to the fact that Ryan has been under-used by Slavisa Jokanovic … “??? What are you talking about? Ryan played the full 90 minutes in 10 out of 12 PL games under Slavisa. 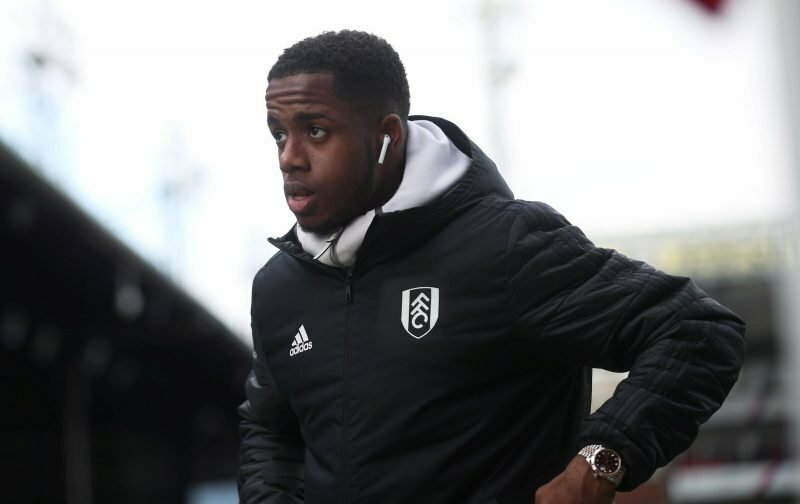 Ryan Sessegnon’s failure to illuminate the Premier League is because he is not good enough at the moment.